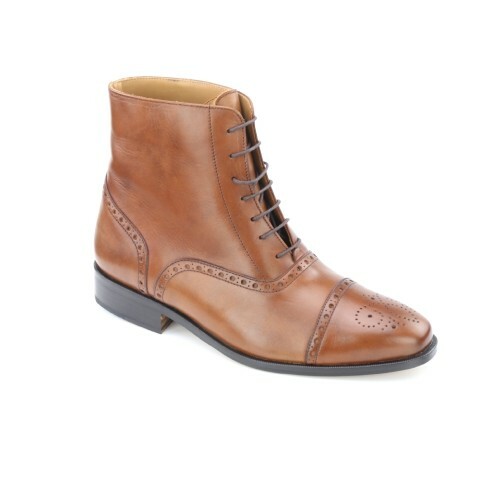 Ashley: “Randolph, you young scamp, the question is; when is a boot not a boot? The answer of course, is when it’s a BALMORAL BOOT. The top, you see, has the witty perforated decoration of a brogue shoe but the bottom has the tough, stout construction of a walking boot. It offers the best of all worlds which, as every English gentleman of taste knows, is versatility” – From ‘The Importance of Being Randy’ (1896) Oscar Wilde.